As 1,000 Edmontonians showed over the weekend, women’s rights are human rights and the march to equality needs to continue. With last year’s massive movement in reaction to the U.S. President, this year seems to be shifting slightly to the overall need to continue working for rights. The recent upheavals caused by women speaking out about sexual harassment and sexual assault are a natural extension of this growing voice. If you want to get involved in women’s issues, LGBTQ2S+ issues and human rights issues, there are any number of groups and organizations in Edmonton to help. If you don’t know where to start, I would recommend looking at groups connected to speakers from the Edmonton event (on the Facebook page of the March On Edmonton Collective) or asking organizers which groups mights be looking for new volunteers or participants. I’ve been meaning to talk about economic news for a little while, and today’s the day I finally do it! By “economic news” I mean both the various stories about business and the economy and also how these kinds of topics get covered. I am in no way, shape or form an economic expert, but I do find it all a bit frustrating reading stories day after day and noticing the trends in local news related to how we’re hearing about our financial futures. While a lot of stories in Edmonton, and Alberta, continue to be shaded with doom and gloom about oil prices, taxes and other negative perceptions we actually appear to be rolling right out of the recession. Some of the stories related to that don’t grab as many headlines, especially if you’ve got good zingers flying between right wing and left wing politicians. Other stories don’t always get covered by all, or the largest, newsrooms. In Edmonton recently, and just as an example, we’ve finally got the Sturgeon Refinery open, which has been somewhat big news. We’ve also got a new petrochemical plant coming in Strathcona County. Alberta has landed the lowest renewable energy rates in the country. NAIT is doing a lot of work to be a leader in training for renewable energy industries. And Edmonton is kind of becoming a hub for the new marijuana industry. These are just a selection of stories that have been in Edmonton news recently, but the sporadic nature of local media can make it hard to see everything going on. We often don’t spot the trends until they are staring us in the face and, even then, we’re stuck looking at them while the actual reality might be changing around us. Jobs reporting is a good example of this. While there are people out of work in Alberta, including people who may have previously had higher salaries in energy industries, the recession is fading and there are lots of people getting back to work (and not just in government jobs) and even jobs sitting unfilled. But, in the they said/they said world of daily news, you have to read a lot of stories over a number of days (or weeks) to get a sense of what may actually be happening. I think that kind of model is starting to look really outdated in a world where we consume a lot of media regularly, but not necessarily from the same sources every day. You may see a story about a business closing, with the owner(s) blaming something like minimum wage increases for their fate. But then, a little while later another story might come out and they may reveal actual reasons for having to close (or closer to it). Some of this might have to do with the questions journalists ask, influencing someone’s answers, and how that gets worked into a story, especially if there’s a new tax or other policy change in the news. Other times, it could just be top of mind for the business owner, especially when something is so politically charged like the minimum wage. Along with stories about specific businesses, you’ll see stories aboufiut how awful things are, but then also how it’s not really destroying us. Then, one newsroom or another might actually do a little digging on the issue to see where the truth might actually lie. It’s a real shame there’s often this pattern with stories related to economic news and trends. I know the answer isn’t to ask everyone to read absolutely everything from every newsroom and publication. (Ha! That’s my job here.) So maybe there has to be a shift in how stories about the economy and business trends are covered. Perhaps newsrooms can start to take more steps back and find the nuance of stories related to government budgets, funding and economic policies and announcements. In terms of minimum wage stories, or similar “this government thing is killing my business” themes, journalists could start asking business owners to open up their books and prove how the change is hurting (or helping) them. Since minimum wage increases, and other taxes and policies, get mixed into a lot of political talking points, to not do this kind of due diligence on business and economic stories risks the journalism becoming little more than news release or talking point re-writing and amplification of critical voices without fact-checking. Unfortunately, the news cycle will not likely be changed for these kinds of stories, so you do need to take initial coverage of economic announcements, good and bad, with a grain of salt. And wait for the rebuttal stories. And then the analysis stories. And finally any stories that show the initial stories were all wrong. I’d love to see more newsrooms take a slower approach to stories about topics like minimum wage or how great/terrible our economy is. The real story lies deeper than the initial numbers and calls for change/celebration. Maybe these need to be monthly or quarterly stories, instead of publishing something every time a report or release comes out. Somewhat related… I mused about creating a list of businesses speaking out against increases to minimum wage and it seemed from Twitter reaction that a list of businesses that DO support such increases would be helpful (or a list of both). 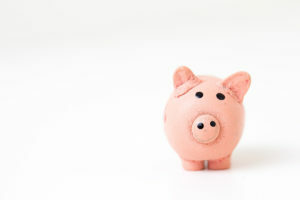 Send me links to stories where people are quoted about minimum wage and I’ll start putting together a list to help you do your shopping and spending (and political rallying). If you don’t find yourself at one of the many public engagement opportunities in Edmonton this week, you might be doing something wrong. Or you might not live in the city. It’s a busy week! City council continues its meeting today, beginning at 9:30 a.m. You can see the agenda online and the meeting will stream live. Agenda items include whether to consider bus rapid transit (BRT) for our downtown to west Edmonton mass transit extension (currently planned to be an LRT line), a potential FIFA World Cup bid, adding parental leave for city councillors, a new park in The Quarters, updates on our community revitalization levies (CRLs) for the downtown, Quarters and Belvedere areas and lifting part of the ban on combat sports events. 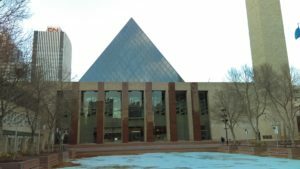 The Edmonton Public School Board has its trustee meeting Tuesday, at 2 p.m. You can see the agenda online, and the meeting will stream live from the same link. Agenda items include how the EPSB could work with other school boards (primarily the Edmonton Catholic School District) to save money and an update to which schools have French immersion programs. The first two of three Metro Line northwest extension open houses are Tuesday, 11 a.m. – 1 p.m. and 5:30 – 7:30 p.m., at the Castle Downs Family YMCA. These are about how the line could eventually continue northwest to St. Albert. So don’t come just to complain about the current problems with the Metro Line. And there’s an open house about a potential re-zoning in Lendrum Place, 6 – 8 p.m. at Lendrum Community Hall. This one would be a pair of 6-storey apartment buildings, built by the Capital Region Housing Corporation. If needed, the city council meeting will continue Wednesday, beginning at 9:30 a.m. It’s the same agenda from Tuesday and the meeting will stream live. There’s an open house about the Valley Line West LRT extension, 6 – 8:30 p.m., at St. Paul’s Anglican Church. 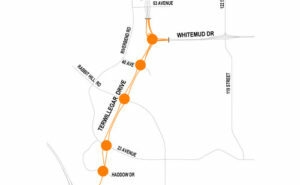 They’ll be talking about the Terwillegar Freeway at an open house 4:30 – 8 p.m. at St. Thomas More Parish. You’ll be able to see draft options for a freeway design of Terwillegar Drive between the Whitemud and Henday. If you want to check out what’s going on with a proposed 50-unit apartment building by the future Holyrood LRT stop, there’s a re-zoning open house 6 – 8 p.m at the South East Edmonton Seniors Association. If you’re looking for a little less work, but still want to be involved in the Evolving Infill workshops, there’s a two-hour version tonight at the Commonwealth Rec Centre, 6 – 8 p.m. The third Metro Line northwest extension open house is Thursday, 5:30 – 8:30 p.m., at NAIT’s Shaw Theatre. If you live in the Prince Charles area, you’ll want to check out the plans for neighbourhood renewal at an open house 5:30 – 8 p.m. at Prince Charles School. Renewal of the neighbourhood starts in the spring.